When is the best time to visit Universal Studios? 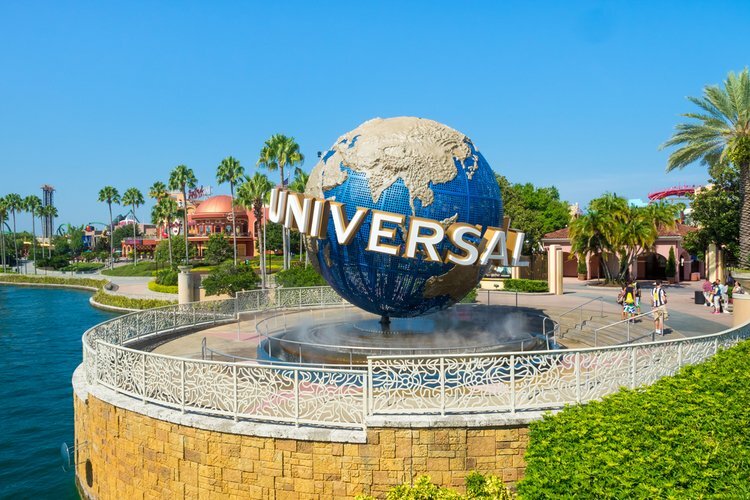 Blog > Florida > Orlando > When is the best time to visit Universal Studios? It’s one of the world’s most famous theme parks, and you’re guaranteed fun whenever you go, but when is the best time to visit Universal Studios? 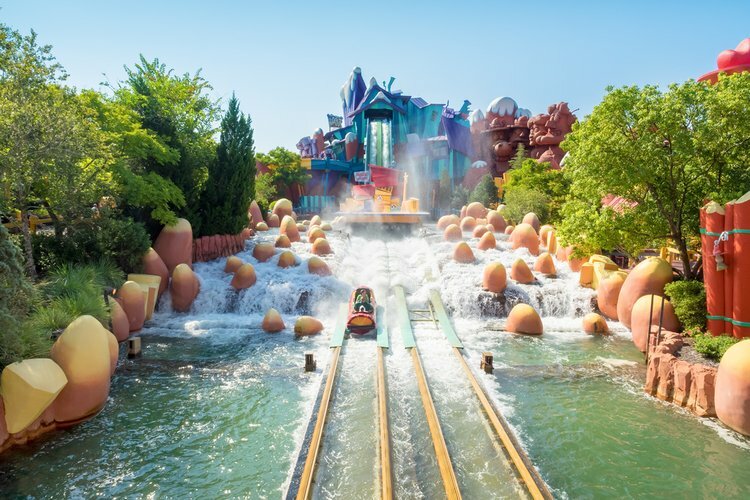 Like all theme parks in Orlando there is no ‘bad’ time to go but with a little forward planning you can make sure your visit lives up to your expectations. The sun shines all year round in Orlando, and the theme parks are open for business every day, so there really is no bad time to go. Peak season generally comes into effect during school holidays, while low season is during term time – but other factors like special events, the weather and the cost of traveling can have a big impact on your vacation. The best time to visit Universal Studios depends on what you want to get from your trip. If you go in the middle of peak season, you can expect Universal to be at its busiest and best. If you visit at other times of the year you’ll be able to make the most of lower prices and smaller crowds. Read on to find out more about the best time to visit Universal Studios, or check out our crowd calendar for a quick overview. Spring Break is probably the busiest time at Orlando’s theme parks, and the worst time to visit if you don’t like large crowds. Spring Break in Orlando usually occurs around mid March, and lasts until early April, so it coincides with Easter, too. During these holidays you should expect the park to be much busier with longer waiting times for the rides. On the upside, March signals the arrival of spring, which is one of the best times to visit Florida, weather-wise. If you’re visiting Universal Studios in March you’ll still be in time for the Mardi Gras celebrations, which run from early February through mid March. Much like Spring Break and Easter, the summer holidays are considered high season in Florida. From mid June until late August, school is out so it’s much busier at the theme parks. Waiting times for the rides and restaurants are longer, the traffic and car parks are busier and the weather is hot and humid. Despite that, many people consider summer to be the best time to visit Universal Studios. 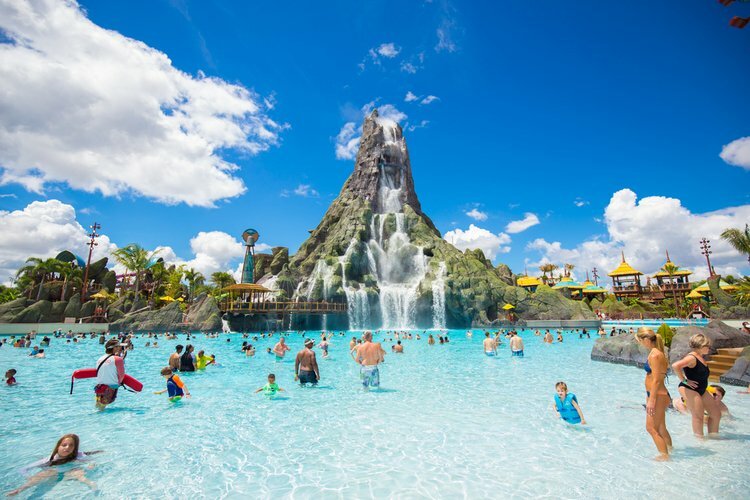 Not only are the parks buzzing with life, the hot weather provides the perfect conditions for swimming and splashing at Universal’s Volcano Bay water park. If you’re visiting Universal Studios in the summer holidays, be aware that there is a good chance of rain. Don’t let that put you off though, as summer showers are usually light, and many consider them a welcome break from the heat. If you’re visiting Universal Studios in the summer, you can time your trip to coincide with the Rock the Universe music festival – if you’d rather go when it’s quiet, visit in August when the kids head back to school and things get quieter. While Orlando’s theme parks are magical at any time of year, they are especially pretty over Christmas and New Year. Famed for their elaborate Christmas displays and parades, both Disney World and Universal Studios get pretty packed over this period. If you’re visiting Universal Studios in December you can check out the music and revelry of Grinchmas and Macy’s Holiday Parade. If you’re visiting for New Year head to Universal Citywalk for the renowned ‘Eve’ party. The extra entertainment over the festive period makes Christmas one of the best times to visit Universal studios. Weather-wise it’s a great time too, as it’s pleasantly warm and unlikely to rain. As peak season comes into effect vacation prices will be higher, but if you book well in advance or check out our last-minute deals on vacation rentals, you’ll get better value for money. Aside from the main holiday periods, there are quite a few other busy times at Universal Studios. There will be crowds during the Celebration of Harry Potter in January, especially around the Wizarding World of Harry Potter in Diagon Alley and Hogsmeade. The Martin Luther King weekend in January is also busy, as is the President’s Day weekend in February. There are also the UK half-terms to consider – one in February and one in October – when lots of Brits arrive on vacation. Other holidays include the Columbus Day weekend, Fall Break and Halloween, with lots of older guests visiting during the ever-popular Halloween Horror Nights events. It’s also worth bearing in mind events that are going on nearby. Is there a special event going on like a major convention? Or a popular soccer or basketball game? Even these kinds of events can make Universal Studios much busier. By the first week in January most kids are back at school, so it’s one of the best times to visit Universal Studios if you prefer it quieter. January is low season in Orlando so there are a lot fewer tourists at the parks, and the price of flights and accommodation will be much lower than in peak season. It’s the coolest month of the year too, and it’s one of the driest, so your trip won’t be spoiled by stifling heat and heavy rain. The quiet spell in January usually runs through early February up until the UK half term. Bear in mind though that Universal’s Mardi Gras festival kicks off in mid February, bringing with it the crowds. April and May are some of the best months to visit Universal Studios. This is the ‘shoulder season’ when you’ll get the best of peak season and low season perks. You can expect warm comfortable weather and less crowds at the park as long as you avoid any seasonal breaks and school holidays. And as it’s not peak season, you’ll find cheaper prices too. This is the second shoulder season of the year, and it’s a fantastic time to visit Universal. The weather is still hot and rainy, but the kids have gone back to school so there shouldn’t be too much hustle and bustle. Universal is still okay to visit during rainy weather, as some of the rides are indoors. It’s great during the hotter spells too, as there are plenty of indoor air-conditioned spots to retreat to. If you’re visiting at this time but you want to avoid the crowds and the peak season prices, be careful to time your trip outside of Fall Break, the UK’s half-term holiday, Halloween and Thanksgiving. It’s not just the crowds you’ll want to plan for; it’s the weather, too. More than anything else, the weather will have an impact on your overall experience of the park. Orlando is famous for its year-round sun, but there is a distinction between the hotter and cooler months, and there’s a hurricane season to think about, too. The summer months are generally considered the hottest. Heat and humidity can soar and rain storms during the day are more likely. There is also the threat of hurricanes in the late summer and autumn. These are rare, though, and even during these months there’s still plenty of sunshine. The cooler months are roughly from December to April, when temperatures are more tolerable and there is a lower chance of daytime rain. The best time to visit Universal Studios weather-wise depends on what kind of vacation you’re expecting. If you like it hot, and you’re planning to incorporate some swimming and sunbathing into your trip, then visit in the summer. If you prefer it warm but not unbearably so, then visit during the winter or spring when you can wander around the parks without feeling too hot and sweaty. For a more in-depth look at the weather, check out our guide to the best time to visit Florida. This way you’ll avoid the worst of the traffic and crowds. Both Universal Studios and Island’s of Adventure open at 9am until around 10pm (although closing times do vary) and Universal Citywalk operating hours are from 11am to 2am. Allow around 30 minutes to park and walk to the gate, and be aware that security checks can take time. 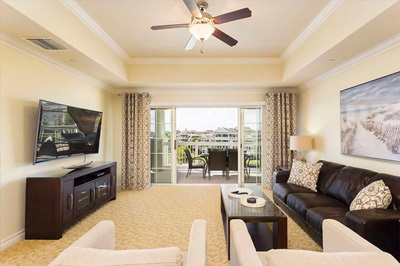 If you’re staying in one of our Orlando vacation homes you’ll be perfectly placed just a few miles from the theme parks. You can ride the free shuttle bus to Universal from the Encore Club if you’re staying on-site. Or you can jump in a taxi or hop on a public bus for the short journey to the park. If you prefer your own private transport, Top Villas’ concierge team can arrange great-value car hire for your vacation. During the summer months, the heat and humidity in Orlando can soar. Make sure you take the relevant precautions by slathering on the sun cream before you go, and topping it up throughout the day. The hottest time of day is around midday to 3pm so that’s a good time to take breaks in the shade or head to the indoor rides and cooling stations. You can always cool off with a cold drink or sweet treat from one of the many cafes and ice-cream stands, or you can bring your own refreshments in a cooler bag. You may not want to carry your bags around in the heat, so why not make the most of Universal’s all-day lockers? You can skip the lines at participating rides and attractions with a Universal Express Pass. Passes can be used an unlimited number of times for each day the pass is valid, so you’ll make great savings on ride queueing times. A 2-park pass for Universal Studios and Universal’s Islands of Adventure costs around $85 on top of regular theme park admission. Great-value attraction tickets are available via the Top Villas concierge service. Where can I find the best value accommodation? 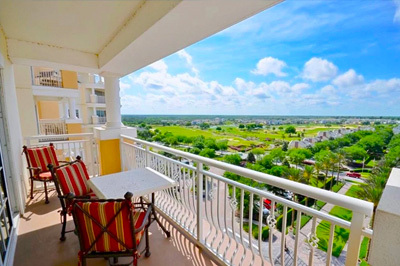 Much like the weather and the number of tourists, accommodation prices in Orlando vary throughout the year. The general rule is that costs go up when the holiday season comes into effect, and they down when kids are back in school. 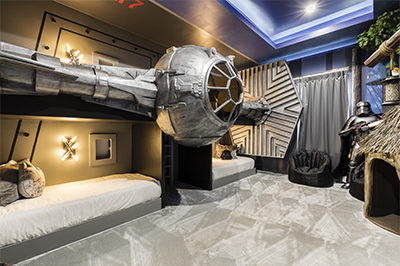 One of the best ways to get great-value accommodation is to hire one of our villas near Universal Studios. There are many reasons why hiring a villa is a better alternative to booking a hotel, especially if you prefer to stay in top resorts near the theme parks. You’ll benefit from more space and privacy in a vacation home, and there are some fantastic last-minute villa deals available too. 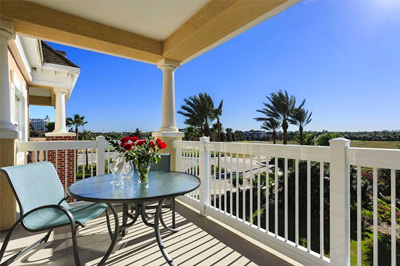 Check our Orlando vacation homes, or browse through all of our Florida vacation rentals to find the perfect home from home. Once you’ve found your perfect villa you can book online safely and securely.